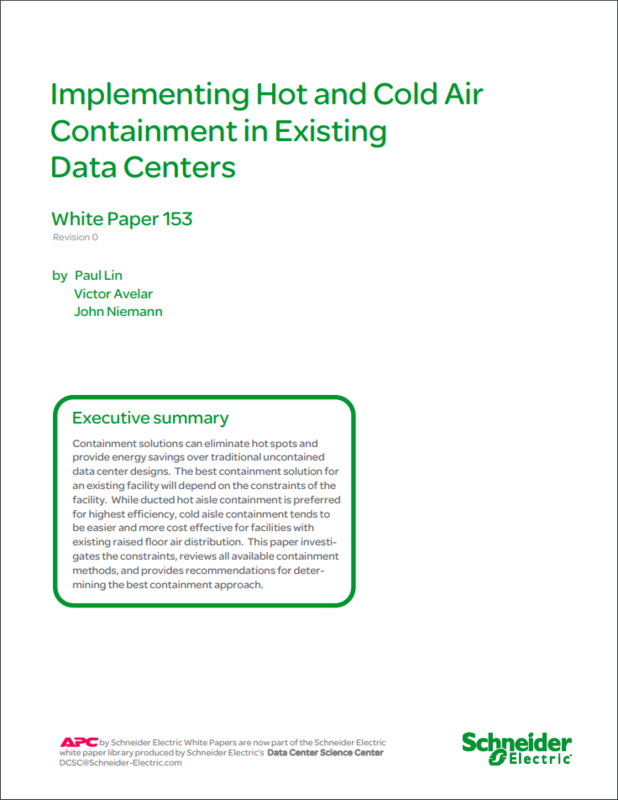 Data center containment strategies can greatly improve the predictability and efficiency of traditional data center cooling systems. In fact, The Green Grid views an air management strategy as “the starting point when implementing a data center energy savings program”. 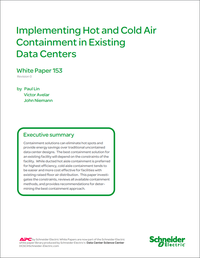 However, most existing data centers are constrained to certain types of containment strategies. Note that this paper is for existing data centers.